Bathmat There are 29 products. Reversible Bath Mat 100% terry cotton. This mat is woven differently on each side which makes it reversible. This thick double weave makes the slip, soft, absorbent. Vegetable dye. Machine washable at 40°C. Available in 60x60 cm, 50x80 cm, 60x100 cm, 70x120 cm, 80x150 cm. On request special measures toilet or sink tower 60x60 cm. Bathmat cali 100% cotton and non-skid. Dimension: 60x60 cm, 60x100 cm, 70x120 cm, also available in wc mat 59x59 cm. Colors: Ivory, red tomato, mint green, brown linen, anthracite gray, slate gray, light gray, beige, turquoise, pink, ice blue, ocean blue. Bath mat 100% combed cotton, 1250 gr/m². Soft bath mat, soft and with very good absorption. This bath mat is available in 60x60 cm and 60x100 cm, colors: white, chalk, beige, brown, pink, gray, black, sky blue, ocean, navy, turquoise, coral, mandarin orange, red, emerald green. Bath Mat Mosaic 100% terry cotton, soft, absorbent, 1900 gr/m². Vegetable dye. This mat is made of small squares of colors: green apple, lemongrass, peppermint, medium blue, sky, navy, turquoise, mauve, lilac, red, pink, orange, yellow and canary. Machine washable at 40°C. Available in 70x60 cm of 70x120 cm. Bath Mat Ambra 100% terry cotton, soft, absorbent, 1900 gr/m². Vegetable dye. This mat is the fusion between Agate and a tree trunk. Machine washable at 40°C. Bath Mat Larry multi line 100% terry cotton, soft, absorbent, 2000 gr/m². Vegetable dye. This mat is a rainbow sky pink, red, orange, yellow, green, purple and blue. Machine washable at 40°C. 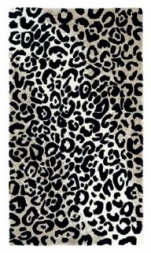 Bath Mat Leopard, 60x100 cm, 70x120 cm or 140x200 cm, 60% cotton and 40% Acryl, soft, absorbent, with a non-slip surface, 1900 gr/m². Vegetable dye. Machine washable at 40°C. 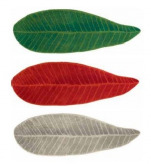 Bath Mat Leaf 65x185 cm 100% terry cotton, soft, absorbent, 1900 gr/m². Vegetable dye. This mat is a leaf. Available in apple green, orange red or linen. Machine washable at 40°C. Bath mat 50x 80 cm 100% pure combed towelling cotton 560gr/m². Available in 30 colors. Pedestal mats 59x59 cm 100% cotton. Space for the toilet: 20 cm wide and 17 cm deep. Washable at 60°C, tumble dry. Available in 25 colors. Woven mat adapted on the tiles, parquet or for use with underfloor heating. Square bath mat 60x60 cm 100% cotton. Washable at 60°C, tumble dry. Available in 25 colors. Woven mat adapted on the tiles, parquet or for use with underfloor heating.